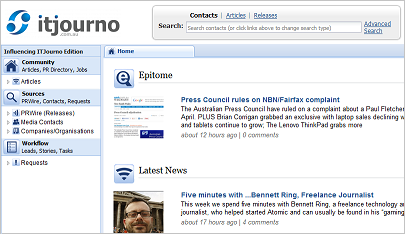 ​Australia's best media database and most powerful PR management platform. 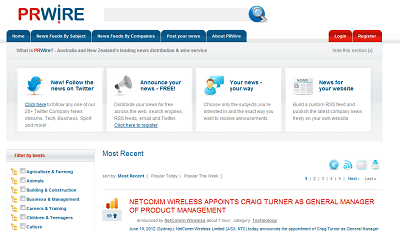 PRWire is Australia's most popular newswire for distributing your news and announcements. Finalists announced for 14th annual MasterCard IT Journalism Awards! MediaConnect is delighted to announce the individual finalists for the 14th annual MasterCard IT Journalism Awards. In today's digital media environment, most PR professionals have given up managing their own media lists and instead rely upon a commercial media database product. However, when considering your media database options, consider how much more you will be able to achieve by upgrading to a PR management or workflow suite like Influencing. Quickly build lists at a moment's notice, easily distribute personalised and trackable releases, share knowledge and quickly create complex reports with the click of a button.